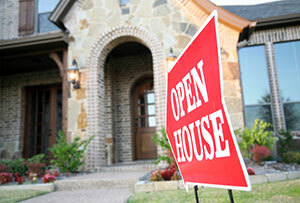 Home prices are on the rise. While this isn't the best news for home buyers, it's good news for sellers who are looking to gain some home equity. Year over year home prices across the nation rose 9.1 percent. February's median existing-home price was $189,000. According to the National Association of Realtors' economists, price increases over the past three years have contributed an additional $4 trillion to the housing wealth recovery. Every region of the country posted price increases in February. The Northeast saw the smallest increase, a climb of 1.5 percent from February 2013 to February 2014. The median price in the Midwest rose 8.6 percent from last year, while the South posted an increase of 8.3 percent. But the West takes the prize for the biggest increase; year over year prices rose a staggering 18 percent, a welcome sign for sellers looking to cash in on their biggest investment. While sellers might enjoy it, higher home prices have a negative impact on housing affordability. That, along with severe weather, restricted inventory, and strict mortgage lending standards, led to a drop in February's total existing-home sales of 7.1 percent from the same time last year. But economists with NAR expect sales to turn around this year. Delayed sales should start to close in the upcoming months, and an expected improvement in the job market should lead to modest increases in existing-home sales. Existing-home sales in the West were down 10.1 percent below February 2013. The Northeast and the Midwest also saw fewer sold signs, with sales 12.7 percent and 12.3 percent below a year ago, respectively. Sales in the South were relatively unchanged; existing-home sales fell only 0.5 percent year over year. Homes were selling faster this February, when the median time on market was 62 days. At the same time last year, homes would sit on the market for a median time of 74 days. The rise in home prices and the accompanying increase in home equity impacted the number of distressed homes on the market. Foreclosures and short sales represented only 16 percent of the market in February, down from 25 percent at the same time last year. With fewer distressed homes on the market, home prices rising and homes selling faster, buyers looking for deals should start their house hunt now.